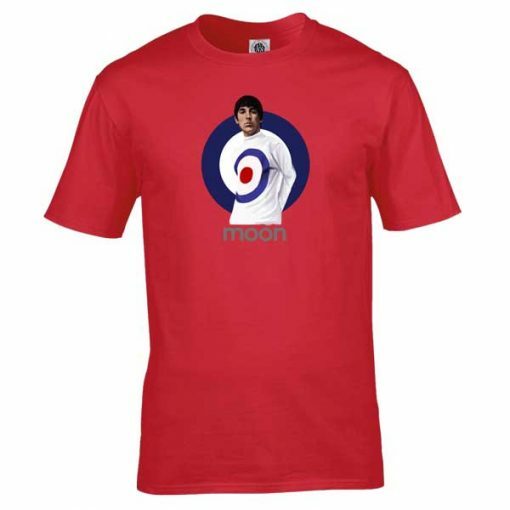 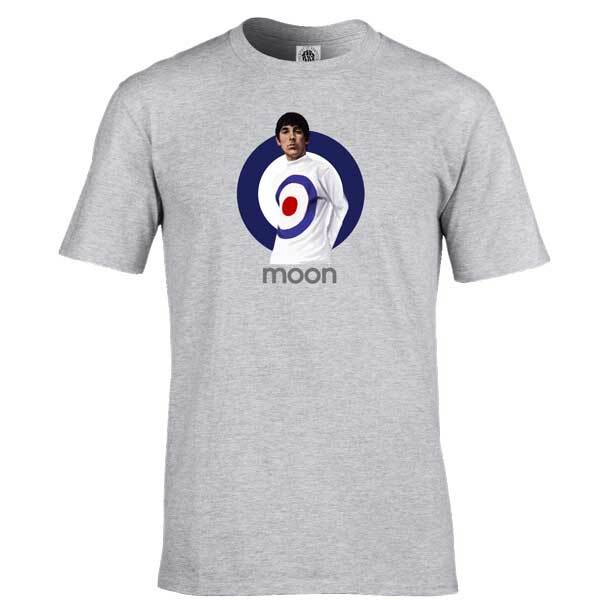 Keith Moon T-Shirt featuring Keith Moon in front of a Mod target. 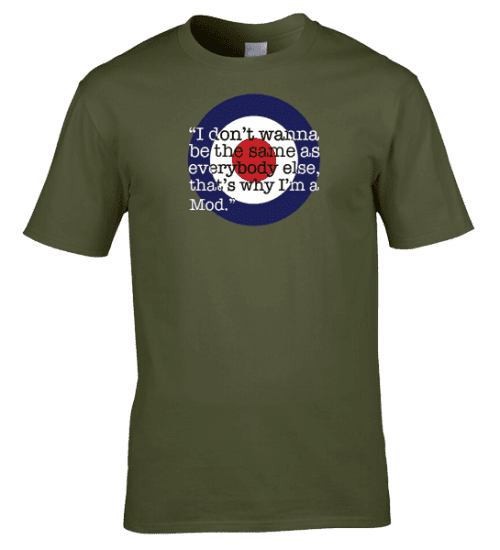 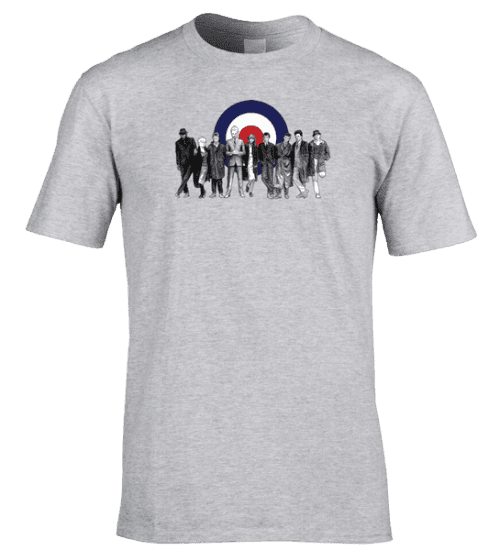 This Exclusive T-Shirt is made using original artwork by Mark Reynolds, available in a wide range of colours and sizes and is perfect for every Mod. 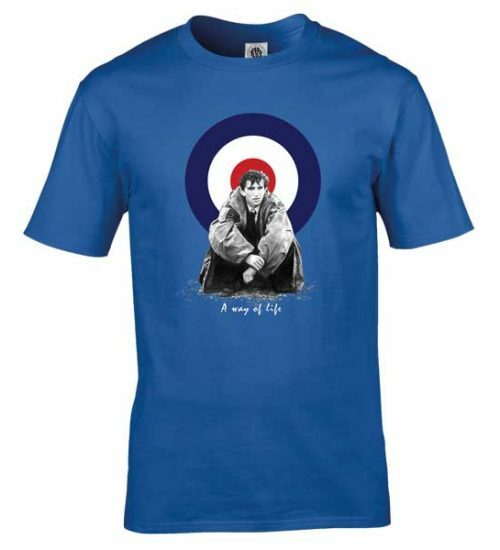 It is exclusive to Mr Art and can only be purchased here. Keith John Moon was an English drummer for the rock band the Who. 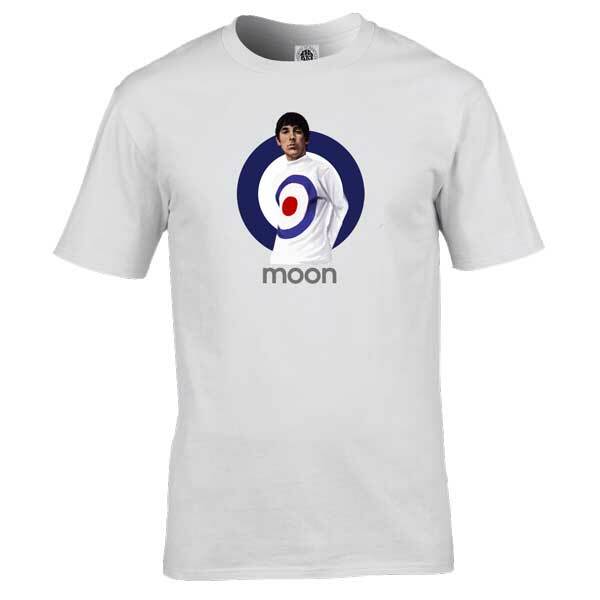 He was noted for his unique style and his eccentric, often self-destructive behaviour. His drumming continues to be praised by critics and musicians. 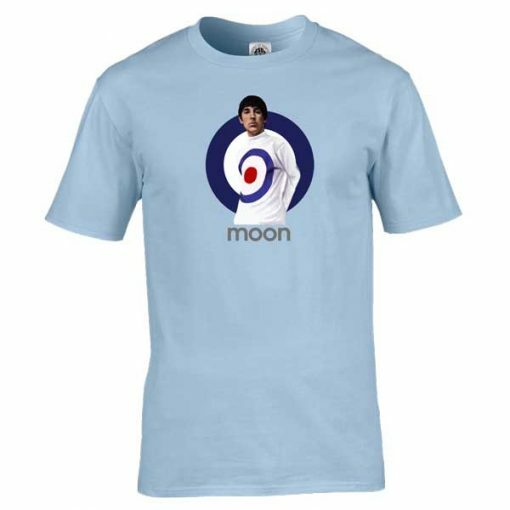 He was posthumously inducted into the Modern Drummer Hall of Fame in 1982, becoming only the second rock drummer to be chosen, and in 2011, Moon was voted the second-greatest drummer in history by a Rolling Stone readers’ poll.